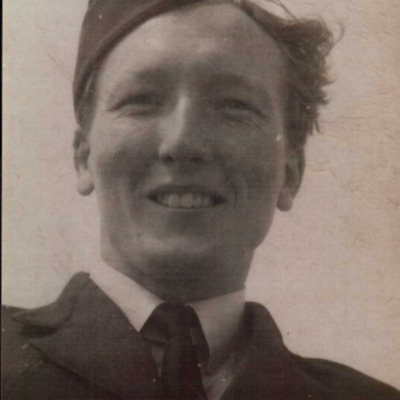 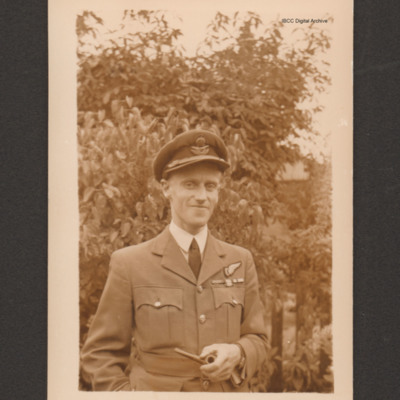 Head and shoulders of Ken Thomas with pilots brevet and DFC ribbon, submitted with the caption 'Ken with his pilots wings and DFC'. 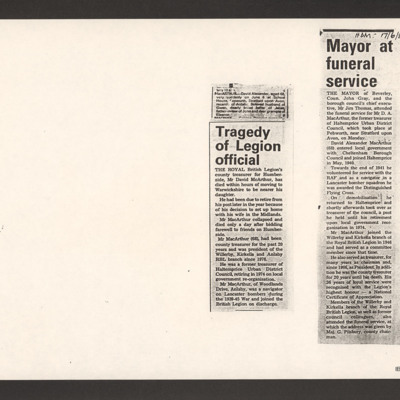 Three newspaper cuttings referring to the death of DA MacArthur. 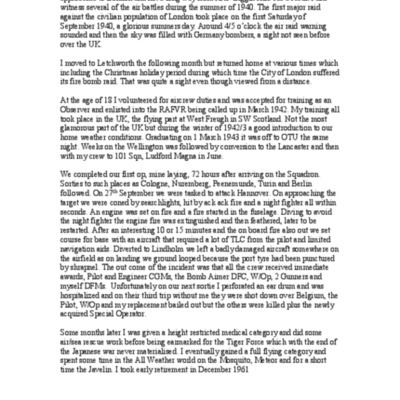 2 - Tragedy of Legion Official. 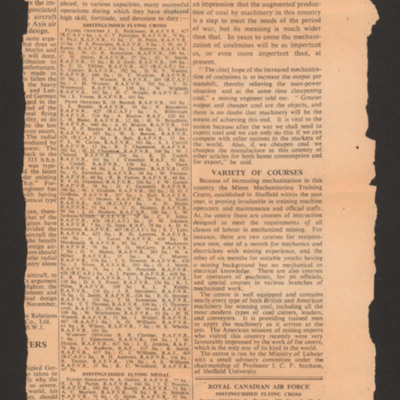 David MacArthur was county treasurer and died at the age of 68. 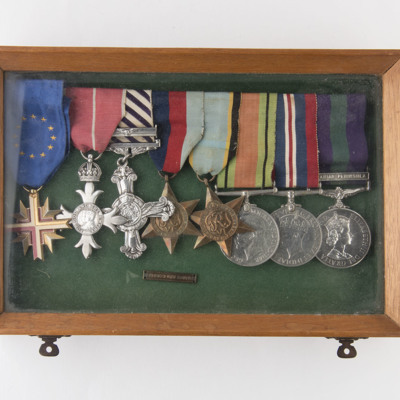 Don Falgate's medals. 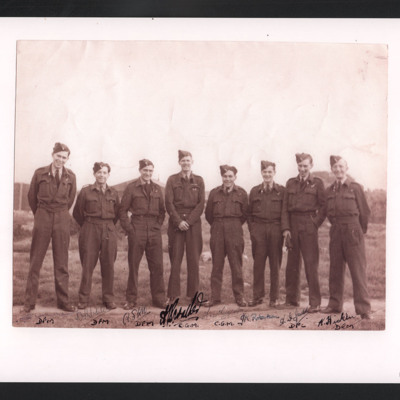 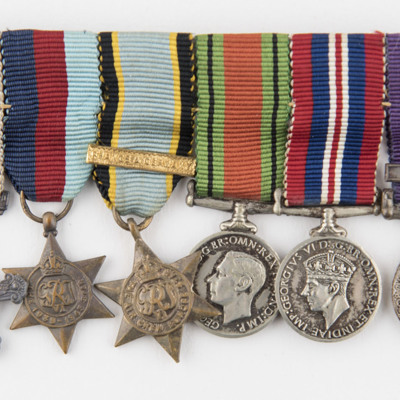 Distinguished Flying Cross, 1939/45 Star, Aircrew Europe Star, Defence Medal, War Medal 1939 to 1945, General Service Medal 1918-62 with Malaya clasp and an Unofficial Bomber Command Medal. 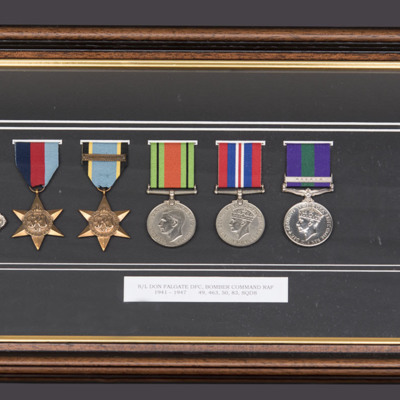 Don Falgate's medals. 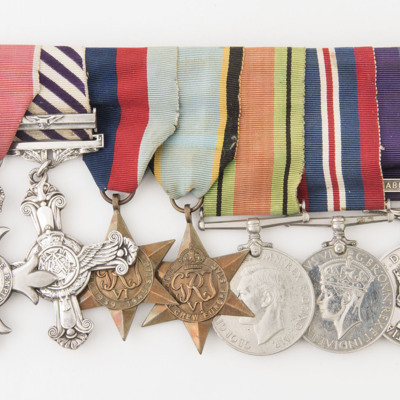 Distinguished Flying Cross, 1939/45 Star, Aircrew Europe Star, Defence Medal, War Medal 1939 to 1945 and General Service Medal 1918-62 with Malaya clasp. 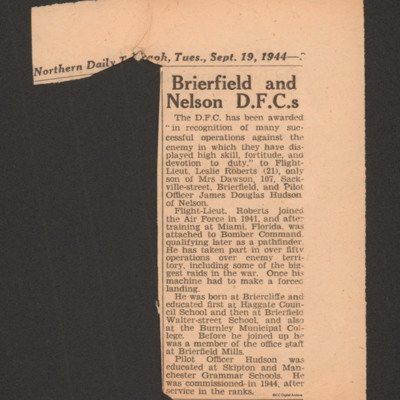 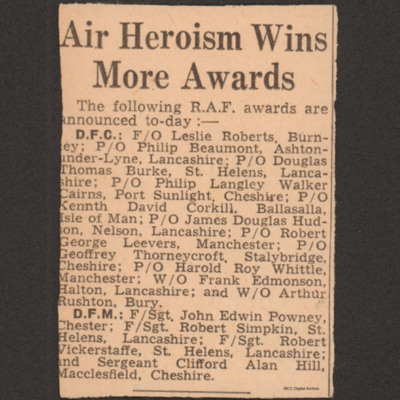 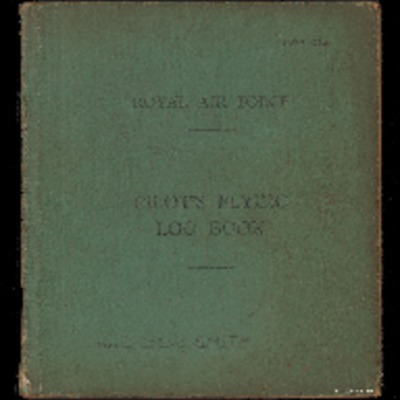 Gives account of Distinguished Flying Cross to Flight Lieutenant Leslie Roberts of Brierfield and Pilot Officer James Douglas Hudson. 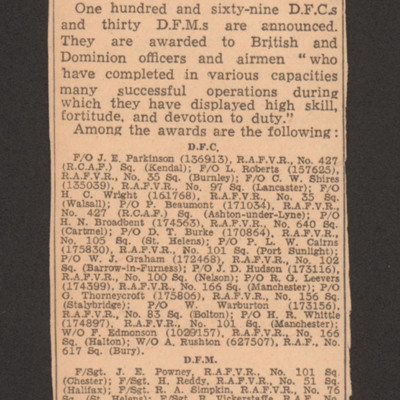 Lists for Distinguished Flying Cross and Medal. 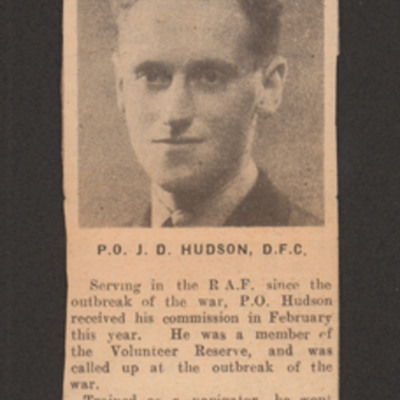 Includes Pilot Officer James Douglas Hudson, Nelson, Lancashire. 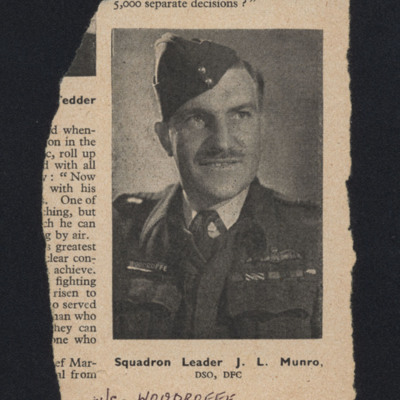 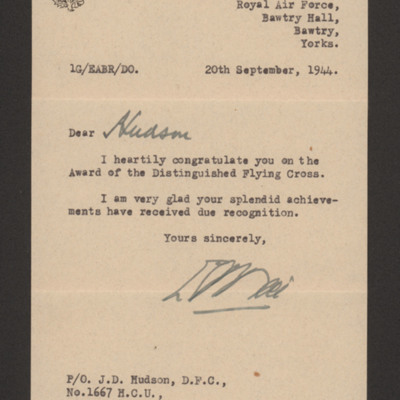 List of names awarded Distinguished Flying Cross including Pilot Officer J D Hudson. 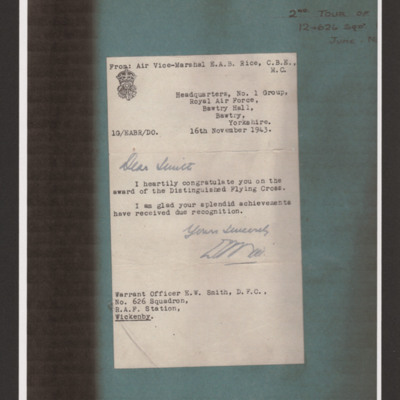 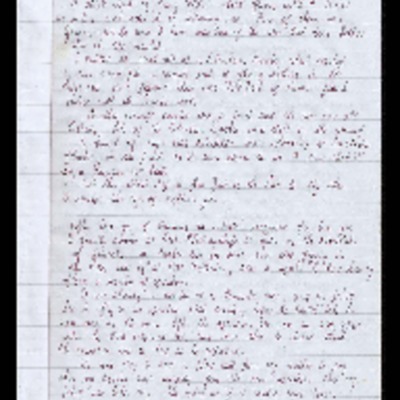 Notes he was commissioned from ranks in 1944.